The ink on Thilo Kehrer’s Paris Saint-Germain contract was barely dry when news broke that his former club Schalke had already found a potential replacement. 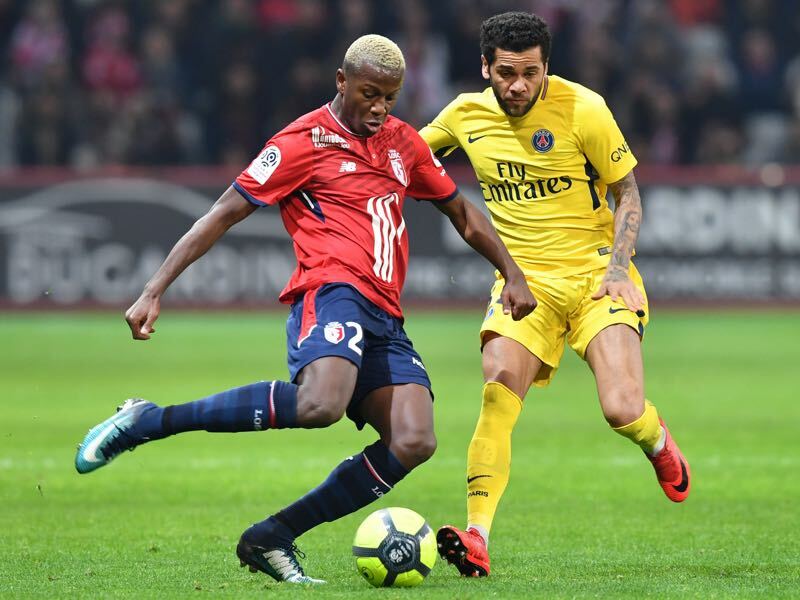 French news outlet L’Equipe reported on Thursday night that Lille’s Hamza Mendyl is going to join Schalke 04. According to L’Equipe writer, Joël Domenighetti Hamza Mendyl will complete his medical on Friday. L’Equipe believes that the 20-year-old Moroccan national team player will join Schalke for €7 million. In many ways, this is a typical deal for sporting director Christian Heidel. Following Kehrer’s transfer to PSG the club was offered over 50 players by clubs and agents. Media then quickly linked Schalke with Barcelona’s Brazilian talent Marlon. The defender, however, completed his transfer to Sassuolo on Thursday. With Schalke dancing on three weddings, the Bundesliga, Champions League and the German Cup, the club, however, needed to add some depth. Squad depth had been one of the major discussion points on the latest Gegenpressing Podcast with Manuel Veth and Chris Williams arguing that the current setup would not be strong enough to repeat last year’s second-place finish. 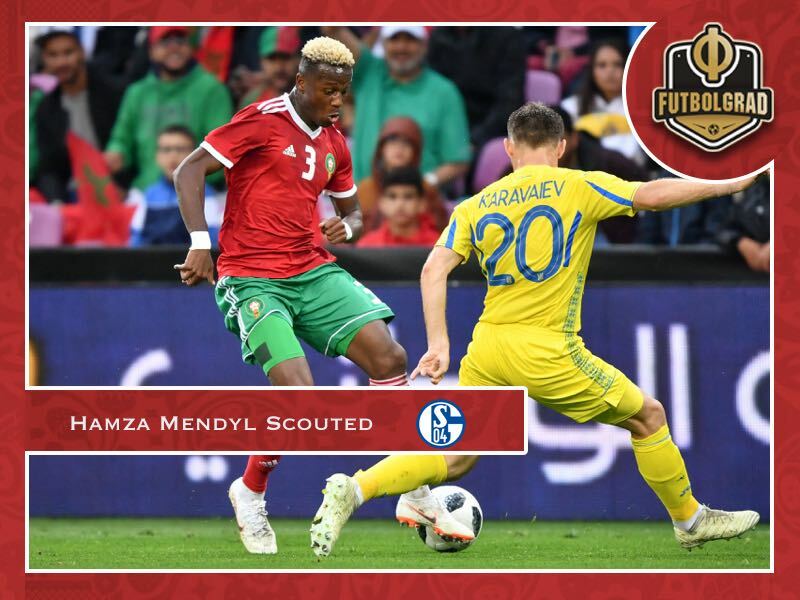 Hence, it is no surprise that Hamza Mendyl has appeared on Schalke’s radar. The 20-year-old Moroccan with Ivorian roots was discovered by Lille while playing in the Académie Mohammed VI in Casablanca. Lille have always been one of the best clubs in France when it comes to developing youth players. It was here that the Hazard brothers, Chelsea’s Eden and Borussia Mönchengladbach’s Thorgan kicked off their careers. Hamza Mendyl joined that academy in 2016 after six years with the Académie Mohammed VI. But even before he made the jump to play for Lille’s youth academy in 2016, Mendyl already played for various Morocco international youth sides. What will Hamza Mendyl bring to Schalke? Although Hamza Mendyl is a versatile player, he will not be a Thilo Kehrer replacement. The 20-year-old can play both as a wing-back and centre-back but at 179cm might be too small to play in the centre of the park. Instead, expect Hamza Mendyl to mostly feature on the wing. In fact, in his 13 games for Lille last season he played almost exclusively on the left. It was also on that position that he was handed his professional debut by Marcelo Bielsa one year ago. The eccentric Argentine coach was a big fan of the 20-year-old Moroccan. Fast and athletic it quickly became apparent that Hamza Mendyl had the key attributes to be a fantastic wing-back on a high level. Good enough anyways to feature in all four Africa Cup matches for Morocco. Playing primarily in midfield, as a left-midfielder, he helped his country reach the quarterfinal before being eliminated by Egpyt. It was expected that Hamza Mendyl would also be a starter for Morocco at the World Cup. But an ACL injury cost him large parts of last season and while he was part of Morocco’s squad he had to play second fiddle to Borussia Dortmund’s new signing Achraf Hakimi. Unfortunately, for Hamza Mendyl head coach Hervé Renard preferred the 4-2-3-1 formation, which meant that there was no room for Hamza Mendyl in the starting eleven. That, however, will be different for Schalke where head coach Domenico Tedesco can use the dynamic defender in a 3-5-2 formation, playing him as a wing-back, left-defender in a three-man defence and in a five-man midfield on the left. Furthermore, should Tedesco make the switch to four in the back Hamza Mendyl will bring much-needed depth to the left-flank as die Knappen have only one nominal left-back in the squad in Abdul Rahman Baba. Altogether Schalke, should they complete the deal, will have made a sensible decision bringing in Hamza Mendyl from Lille. The Moroccan is a fantastic talent, who has the potential to become an excellent Bundesliga defender.